As Fauquier wrestling turns the page on another season it's continuing to have seniors move onto college to wrestle. Senior Matt Raines has been accepted to go to George Mason next school year as he looks to continue in the sport of wrestling to wrestle for the Patriot's. George Mason University is nested in heart of Fairfax VA, and is ranked as the third biggest school in the state of Virginia by Collegestats.org with 46,894 students enrolled. It also considered the largest public research university in the Commonwealth of Virginia. Mason offers 81 undergraduate degree and has additional campuses in Arlington, Prince William and Loudoun County. As a Falcon Matt Raines is coming off an amazing senior year as a team caption he went 39-4 and won the Elite Opener, Mount Madness and MVP of tourney, and the Falcon Duals. As a four year starter he became a 4x District/Conference Champion, a 3x Regional Champion, and a 2x 4A VA State Champion. Raines is also currently ranked 8th all-time career wins with team Fauquier with a 157-22 record and ranked 5th with a 87 winning percentage. He also followed that up by being name MVP of the team the past two seasons (2014 and 2015). 1. 3 year team captain. It is amazing to me and unprecedented in my 20 years of coaching experience to see a sophomore team captain. Typically sophomores do not have the confidence and maturity level to stand up to and lead older team members. Matt was the exception. All 3 years that he was captain, he was selected as such by the wrestlers, and was the hands down winner. He did an awesome job in that roll every year and it was in that capacity that he helped Fauquier the most in finally getting the team championship this year. 2. 2x State Champion. Not only was he a 2x champ, but he dominated the competition in the conference, region and state both his Junior and senior year. scoring bonus points all through the post season and even in the VA 4A State Finals. 3. GMU Scholarship Athlete. Being a scholarship athlete to a Division I school is a major accomplishment. It demonstrates that one has the ability, the work ethic, the drive, and the love of the sport needed to compete at the highest levels of our sport. It has been an honor to coach Matt through his high school career, and I am very excited to see him wrestling in a GMU Singlet. I know I will personally miss him, and I know that the team will not be the same without him. He is leaving a huge void in his wake. I have no doubt that Matt will be successful at GMU, and he will also make a great coach someday. In 5 years my son will be graduating Fauquier, and Matt will likely be graduating GMU. Sounds like perfect timing!!! (Q)- Now that your days are numbered as a high school senior - can you reflect on your 4 years as a starter and what it meant to have wrestled for team Fauquier. Raines (A)- "It has been an honor to wrestle as a four year starter for the Fauquier Falcons. My teammates, coaches, and friends have helped to make my career at Fauquier a time that I will never forget." 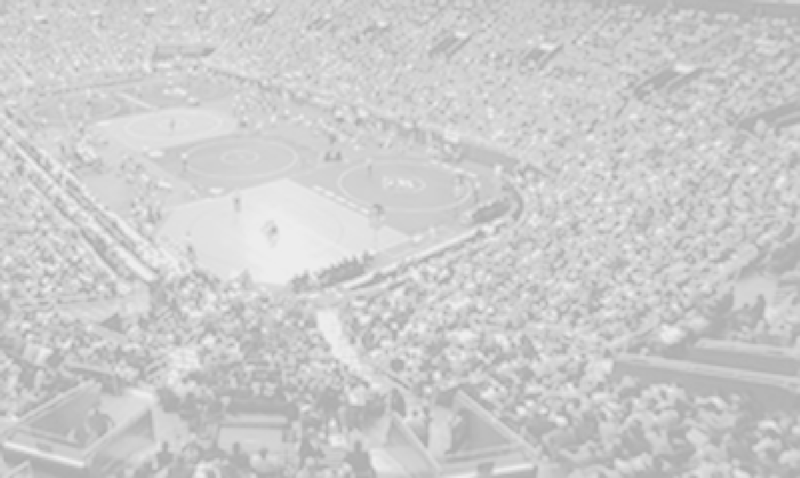 (Q)- As you look back at your High School wrestling career, what is one of your memorable moments? Raines (A)- "The most memorable moment of my high school career would have to be when The team won the 4A state tournament. Everybody worked hard all year which was reflected by the outcome at the end of the season." (Q)- What made you choose GMU as a college that you will be attending next fall? 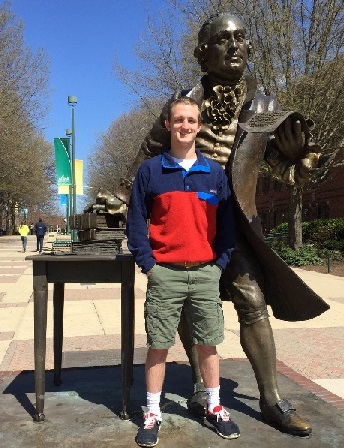 Raines (A)- "I chose GMU for many reasons. It has a close proximity to my home, yet it's still isolated. They have many different majors to choose from (which I have not yet decided on). The wrestling team has amazing coaches that really care about each individual wrestler. It is a huge school which was what I was looking for when applying to colleges. Lastly, I feel that I can truly reach my full potential not only as an athlete, but also as a student." (Q)- What are some short term goals through the spring and summer? Raines (A) - "My short term goal through the spring and summer would just be to get in amazing shape, and wrestle as much as I can. I feel that what I can achieve in the offseason, could give me an edge over many other freshman coming into college in the fall." (Q)- Any final words that you want to express with regards to the Fauquier Wrestling program? Raines (A) - "I would just like to thank anyone who has ever been a part of the Fauquier wrestling family. So many people have helped me along the way and I could never be thankful enough. I will never forget the friends I have made throughout my time as a Fauquier wrestler. I admire any coach I have ever had because I believe that they have all had a positive impact on my life making me the wrestler and also the person that I am today. I would also like to thank my parents for the countless hours they have spent driving me across the country to sit in a hot, stinky gym just to watch me wrestle. The Fauquier Wrestling program is very special, and I'm absolutely honored to say that I was able to be a product of the club." George Mason wrestling already has two outstanding ex-Fauquier standout wrestlers Greg Flournoy and Ryan Hunsberger, who is presently wrestling for the team. Flournoy was the only standout Patriot to make it to the D1 National Championships this past year. With the addition of Matt Raines to the Patriot's squad one could make a point that GMU is now loaded with three of the best Falcons.